OK, this top five is going to be a downer. An elderly but healthy and strong family friend recently stumbled and fell while walking down the street. He died of his injuries. I don’t think people fully recognize how dangerous falling can be for the elderly. It’s just one of those things we accept as a normal everyday occurrence. But we should pay more attention to it. Even if people don’t die right away from a fall, many end up with a broken hip, and in such a case, few elderly will ever be able to walk in any significant way again. Most will spend the rest of their lives in a wheelchair, and 25% will die within six months. In an effort to convey the seriousness of this issue, here are five otherwise vigorous people, living full, creative lives, with excellent support systems and medical care, who abruptly died within a few days of of falling. 5. Dr. Robert Atkins, age 72: This is the guy who created the Atkins diet and is largely responsible for the low carb fad in the US. In April 2003 there was an unseasonably late snowfall in New York City and Dr. Atkins slipped on some ice and fell, hitting his head. He fell into a coma and was taken off life support a few days later. Up until that fall, he was a busy man, traveling, and speaking frequently, a mainstay of TV programs about diet. 4. Roger Ailes, age 77: The former head of Fox News had recently been barred from the network due to sexual harassment charges, receiving a $40 million dollar parachute as a going away present. Not one to stay down for long, he was busy planning a new conservative network with Steve Bannon, Bill O’Reilly, and Sean Hannity, with backing from Peter Thiel, when he slipped and fell in his bathroom and hit his head. He died a week later, the bleeding from the fall exacerbated by the hemophilia he’d suffered from his entire life. He had been scheduled to meet with Thiel and O’Reilly for more planning 2 days after his fall. 3. Katherine Graham, age 84: Owner of the Washington Post and the first woman to head a Fortune 500 company, Graham was retired but kept busy. While attending a media conference, she fell on a sidewalk and died shortly afterwards. 2. 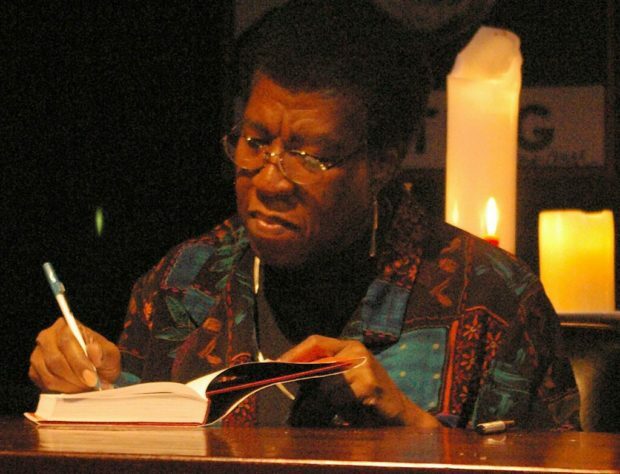 Octavia Butler, age 58: The acclaimed and beloved writer was the first science fiction author to win a MacArthur “Genius” Grant. She was at the height of her writing abilities when she fell during one of her long daily walks and hit her head. Note: some later reports claim she died of a stroke, so it’s a bit unclear. 1. Leonard Cohen, age 82: The singer, songwriter, poet, and novelist was continuing to perform and create new music when he fell and hit his head and died later that day in his sleep. He had leukemia at the time. Extra Extra: The long serving congresswoman Rep. Louise Slaughter died in a fall. Previously a very active, vigorous politician, Slaughter was also the oldest person in congress, at age 88. She had a role in passing some of the past decade’s most important legislation. But she fell in her own home about a week ago and got a concussion. She passed away after a week in the hospital.